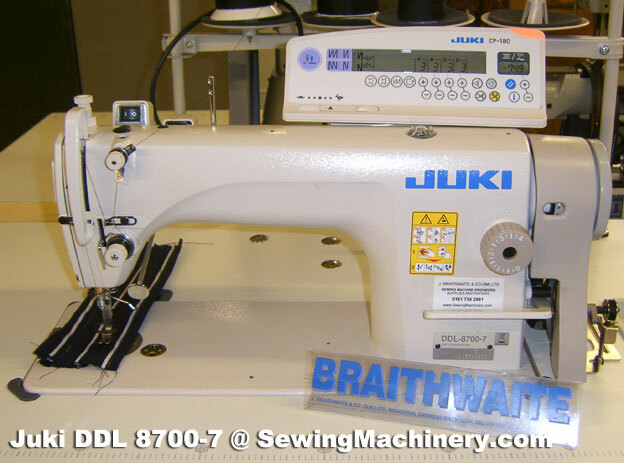 The Juki DDL-8700-7 is now fitted with the new compact energy saving servo motor, SC-920 control panel and CP-180 digital operator panel. The balanced and rigid sewing machine head has been created using the latest 3D-CAD design technology. The machine is provided as standard with extra attachment mounting points for the attachment of auxiliary parts and guides. Thanks to its low vibration and low noise feature; the DDL 8700-7 head provides the operator with a comfortable working environment. In addition, the distance from the machine arm to the needle on the front of the machine head is sufficiently wide to allow easy handling of the fabrics and material. 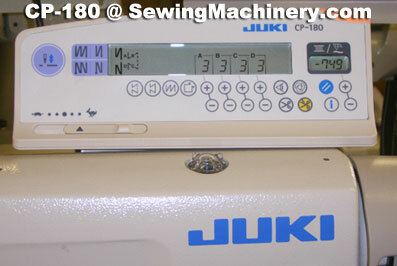 By providing a presser foot with a higher lift of up to 13mm, a light-touch stitch dial, a throat plate with marker grooves that can be used as guide for seam allowance and other easy-to-operate functions; the burden on the operator is reduced and productivity is further increased.